This was interesting... Apparently, Michael Jackson and the Jackson 5 and Motown had a bit of a sense of humor... Never saw this video before today. Thank you EgotripLand! Hey man... We don't get to hear from this guy very often... so when we do, we pay attention. Watch the video. He's talking about T.I., Big Boi, OutKast, collaborations and other stuff. Peep the video below. On some other related stuff... T.I. is talking about his experience with Andre 3000. I don't have much to say about this... but I have a question: How many of you could live like this on a day to day basis for a year without experiencing cabin fever? One side of me loves this; sometimes simple is better. The other side of me says that this doesn't look comfortable at all. Where is my love seat and TV?! If people come over, we can't all sit on this wood bench with pillows. But maybe I'm wrong... Maybe this is the problem with Americans... Maybe we feel like we need too much... Maybe this is all we need. Simple. Efficient. Effective. 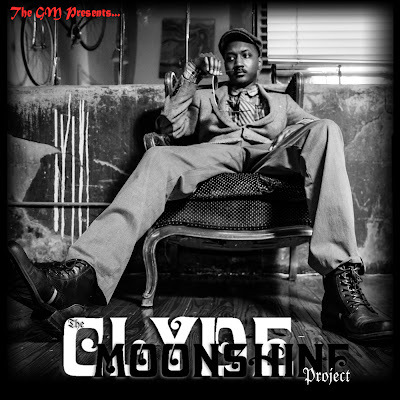 Remember when I introduced you to Clyde Moonshine and said that "the CD might be something like the music you would expect a Marvin Gaye, Andre 3000 and Rick James collaboration to sound like in this new millenium"? This is one of the more "out there" tracks. It's some raw Moonshine footage displayed artistically... Enjoy.